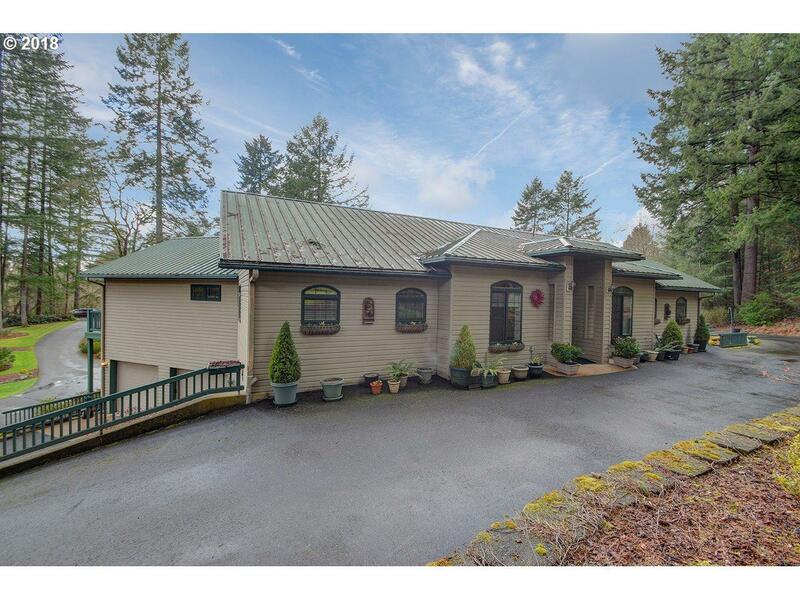 Custom built home w/ Multi- generational & separate living options galore. Minutes to La Center. Main level w/2 master suites w/10 ft or Vaulted ceilings. Lower level is complete w/2nd Greatroom, 2nd kitchen, 2nd laundry, bedroom & bath. Storage never ends! 2 furnace systems. 8" & 10" quad loc exterior walls= super energy efficient. Fire safety sprinklers throughout. RV /2+ car garage/shop w-full bath.Tucked away story book setting.